I’m Megan, 1/3 of Team pedal who had never ridden a roadbike up until 4 days ago when I completed a 4 mile round trip near my brothers house in Wales. Stabilisers are now off and training has commenced for the 1000 mile trip from Wales to Switzerland in July this year! Up until a couple of months ago I would’ve described my fitness and general exercise regime as motivational outbursts in the gym and lots of ‘operation- get skinny’ phases. My fitness achievements vary between winning a 1500m race on Sports day 1996 (rough estimation of age in Year 4!) to having climbed Snowdon a few years back with my brothers and parents. My interest in physical sports varies greatly (I got so bored this last summer that I even dappled in skateboarding) so much so that I’d like to believe that I could achieve whatever I set my mind to. 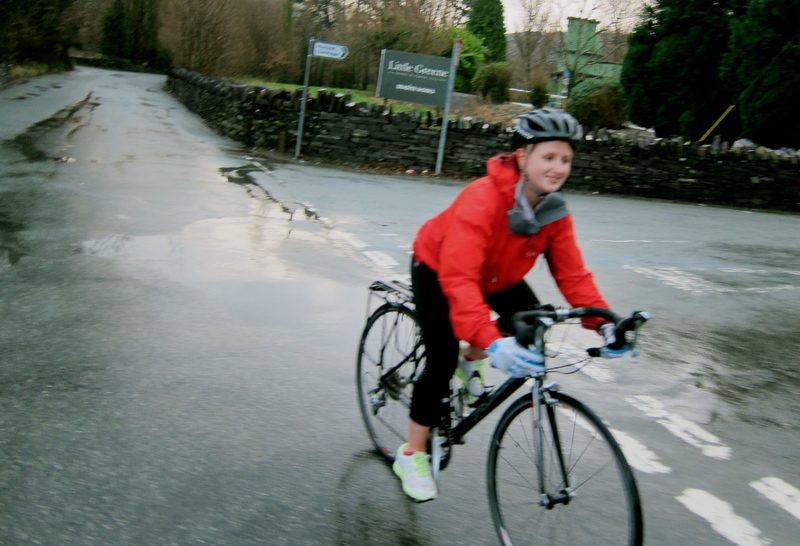 I’ve always loved running and my level of long-distance stamina isn’t completely abysmal, so when my eldest brother, Ryan, first pitched the idea of the Wales-Switzerland cycling trip to me I considered it. Initially I thought I’d be as mad as a bag o’ cats to agree to such a thing…. But I came round when I realised how rewarding it would be overall and just how excited I was about doing it. So, whilst I am partaking in this trip for ‘the good of my health’, I am also aiming to raise money for the MS Trust, a charity that both supports people with Multiple Sclerosis and also furthers the research into and understanding of the condition. This wonderful cause is very close to my heart and it will be my most prominent motivation during my 6am bike rides before work in preparation for the trip, up until the long, final slog over the Alps in July. Finally, being the “girly fashion student” of an extremely outdoorsy family, this trip is also first and foremost a chance for me to show them all that I do have some gusto and some outdoorsy bones in my body! So get involved, see if I can actually pull this off, and support a great cause that helps millions of people.